The M700 series modules are designed for use with any NOTIFIER protocol fire alarm control panel and include selectable loop isolation in every device. 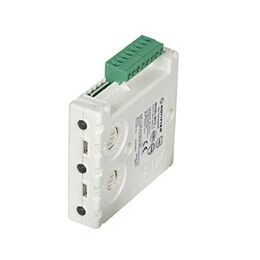 The M721 dual input, single relay output module, as well as providing two supervised inputs also provides a single change over relay output rated at 2A @30Vdc. The M721 uses three addresses of 99 available module addresses on a loop and responds to regular polls from the control panel reporting its type and the status (open/normal/short) of their supervised device circuits.